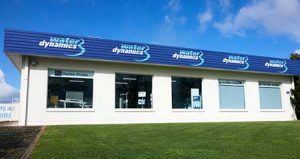 Water Dynamics Mt Gambier was established in 1968 as Davison Drilling and Irrigation. 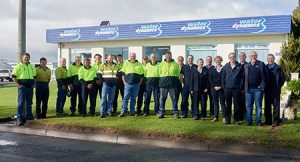 With a team of over 25 people, the store is now the largest irrigation provider in Mt Gambier and the surrounding areas. We are an integral part of the community and support many local organisations including, MacKillop Farm Management Group and Kongorong, Glencoe and Kalangadoo Football Clubs. 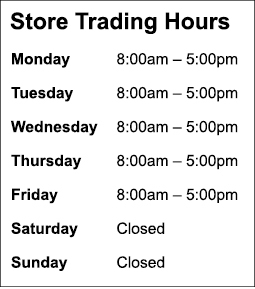 Our Mt Gambier store is located on the Jubilee Highway West opposite the old Bunnings. We cater for everything from small home sprinkler systems to large-scale commercial irrigation operations. If you are not sure what you are after come in and talk to our irrigation experts, we also do free designs for domestic pop up systems. Water Dynamics Mt Gambier has a strong history of borehole drilling in Mt Gambier and the surrounding areas. We are highly skilled in drilling bores for residential water, stock water and for irrigating broadacre crops and vineyards. We are one of the few irrigation companies who can handle a whole irrigation project – from the bore drilling, through to the installation of the pivot and every step in between. Drilling up to two new bores in and around Mt Gambier each week, we have extensive experience drilling into limestone, clay and sand. 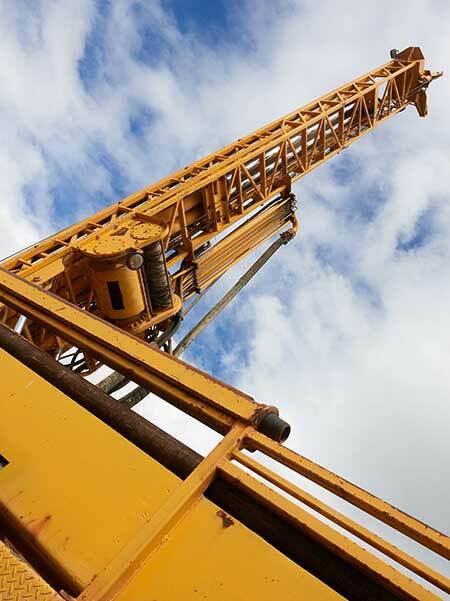 We drill bores up to 300mm wide and 250m deep utilising our truck mounted Bourne Drilling Rig. Our dedicated drilling team is fully licenced with class 3 drilling licences. Our bore pumps range includes Grundfos, Onga and Everflow. From hobby farmers to large scale commercial operations, our Mt Gambier store provides a range of agricultural irrigation solutions to the broadacre customers, including centre pivot irrigation, travelling irrigators and drip irrigation. We provide irrigation solutions across all types of crops and pastures and are proud of our long term association with Dairy SA and MacKillop Farm Management Group. The store has a dedicated T-L centre pivot team, with a focus on design, supply, installation and maintenance of centre pivots. Our Mt Gambier store is part of the Onga Pump Shop network and stock, supply and services and extensive range of Onga pumps suited for commercial and home applications. We have a flexible approach to servicing and our service team members are all skilled in both on-site and in-house service. This enables us to utilise a combination of both on-site and in-house service offerings that are suited to individual customer requirements. Our workshop is well fitted out with a variety of modern equipment for steel fabrication, pump and irrigation repairs. We have a dedicated horticultural sales representative based in Naracoorte to service the horticultural industry in and around Naracoorte.